Convergys is a customer management company based in the United States. The corporation, with headquarters in Cincinnati, Ohio, operates in 31 different countries and employs over 125,000 people. They are committed to putting both the customer and the employee first and to reaching out to local communities in which they operate. See the link below for the Convergys Application. Convergys began as two companies, MATRIXX and Cincinnati Bell Information Systems. Upon acquiring AT&T Solutions Customer Care in 1998, the company adopted its current name and went public. Since then, it has continued to expand its presence in the industry. In 2013, it bought Datacom call centers in Kuala Lumpur and Manila. Last year, it was announced that Convergys would merge with Stream Global Services, a business process outsourcing company. Convergys follows a strict social responsibility program with several tenets. First, they are dedicated to providing quality services to their clients with integrity. Second, they approach employment as a relationship of mutual respect, ensuring that their workers are happy and healthy. Finally, they work to benefit the surrounding areas in which they operate, both by donating to programs within the community and running energy-efficient locations with minimal pollution. With job opportunities across the globe, a large and expansive workforce, and a value system that stresses the well being of both customers and employees, Convergys is a company at which one can both enjoy and feel good about working. See the link below for how to apply for Convergys online. There is no printable application form. 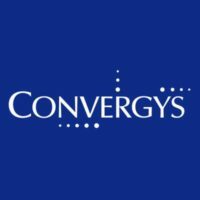 Convergys jobs are available in 31 different countries. These include customer service and sales representatives, tech support, call center operators, and more. This company is also unique in that it offers a multitude of work-from-home jobs with flexible hours through its program Convergys Anywhere. This program is currently hiring from almost all states in the US. The minimum age to work at Convergys is 18 years old. Because most positions involve customer service interactions, potential employees should also be able to communicate well in the specified language of application. For call center positions, an understanding of how to use a telephone is required, as is basic computer knowledge for online chat associates. Convergys careers offer an array of competitive benefits for employees. All US and Canadian workers are eligible for health and life insurance plans. A 401K is available, to which the company will contribute a 3% match (in the United States) after one year of service. Other benefits include healthcare savings accounts, paid time off and holidays, tuition reimbursement, and a discount program that offers employees savings on thousands of brands. Convergys is also dedicated to developing their employees. Consequently, they offer a rigorous training program to help workers advance their careers. This includes a new employee orientation, career development workshops, and other programs that dive deeper into more specific aspects of the company’s operations. They focus on allowing their own employees to climb, and 70% of management is promoted from within the company. Below is a job description list for several Convergys jobs. You can apply online for these positions. The link to the applications is below. Customer Service and Sales Rep- This position assists customers over the phone with typical product or service issues. Responsibilities include greeting customers warmly, listening attentively to and resolving problems, ensuring the customer understands the solution, and selling additional products and services if appropriate. Six months of previous customer service experience is required. Salary is $10/hr with an increase to $10.50/hr on nights and weekends. Online Chat Technical Support- This position is similar to a customer service and sales rep, but they perform their assistance via a typed conversation online rather than over the phone. Responsibilities are similar: greeting and listening to the customer, providing solutions, and ensuring the customer can effectively implement those solutions. A high school diploma and a minimum 30 wpm typing speed are required. Salary is up to $15/hr. Team Leader- The team leader is the management role that oversees a group of customer service representatives. Responsibilities include evaluating team member performance, referring team members to the correct supporting departments such as human resources, coordinating recognition programs for exceptional employees, and more. A bachelor’s degree in an associated field is required. Salary ranges between $25,000-$42,000/year. Entry Level Tech Support Representative- This position consists of assisting customers with common technical issues related to products. Responsibilities include answering tech support questions via phone, elevating the issue to a different department when appropriate, and improving processes to prevent future issues with common problems. A high school diploma and previous experience in customer service are required. Salary is $11/hr. Below are some questions you could expect to hear during an interview for Convergys. What experience do you have with problem solving? A significant part of working for Convergys involves assisting customers with technical questions. For common problems, you will likely have a listed solution, but for more unique issues you will have to think on the fly to bring the matter to resolution. Tell a story that showcases your ability to think critically. How well do stay upbeat during stressful situations? When working in customer service, you should expect some conflict. Most customers have a problem when they are calling, so they won’t necessarily be happy. You have the opportunity and responsibility to be cheerful and turn their day around. Show the interviewer that you can keep your cool and stay positive despite pressure from the customer. Does your lifestyle allow for flexible scheduling? Work at Convergys is not always 9 to 5. Most call centers operate 24 hours a day, so you should expect some night and weekend work. Ensure that this won’t conflict with your life. Tell me about a time you improved a process in your workplace. The hallmark of a truly great customer service company is the ability to eliminate problems before they happen. If customers are coming to you with the same question over and over, it is expected that you will look deeper into the issue and prevent it from happening again. Prepare a story that shows your ability to fix long-standing problems like this. How do you feel about management positions? Convergys prefers to promote from within when possible, so make it known if you are interested in being a leader in the future. Be honest with the interviewer; it’s fine if you aren’t interested in supervisory positions or don’t know yet. There are two ways that you can apply for jobs at Convergys. You can apply for Convergys jobs online- see the link to download application form. If you don’t want to put in an online application, they also offer on-site hiring events at many of their locations at which you can put in a direct application. There is no printable application for Convergys. The first step in the Convergys application process is review of your application and résumé by a member of human resources to ensure you meet the qualifications for the job. If they find that you are an appropriate fit, you will be contacted to schedule an interview either in person or via phone, depending on the position. The most important things to demonstrate during the interview are your professionalism and ability to interact well with others. If it is a telephone interview, use the opportunity to show how well you communicate over the phone. Smile, since this can be heard in your voice. Don’t try to multi-task during the interview; listen attentively to the interviewer, because this is an important skill in customer service. If you attend an in-person interview, dress in business professional attire and make sure your hair, teeth, and body are clean and groomed. Greet the interviewer with a firm handshake. Sit with a comfortable yet confident posture, and maintain good eye contact during the interview; this demonstrates how well you are listening. Ask the interviewer questions, as well. Convergys is an employee-centric company, and they want to ensure those working for them are happy and healthy. Stress certain points that are important to you, such as work-life balance or programs for advancement. Talking about these things will ensure that you are placed in the best fitting position for your personality and work style.